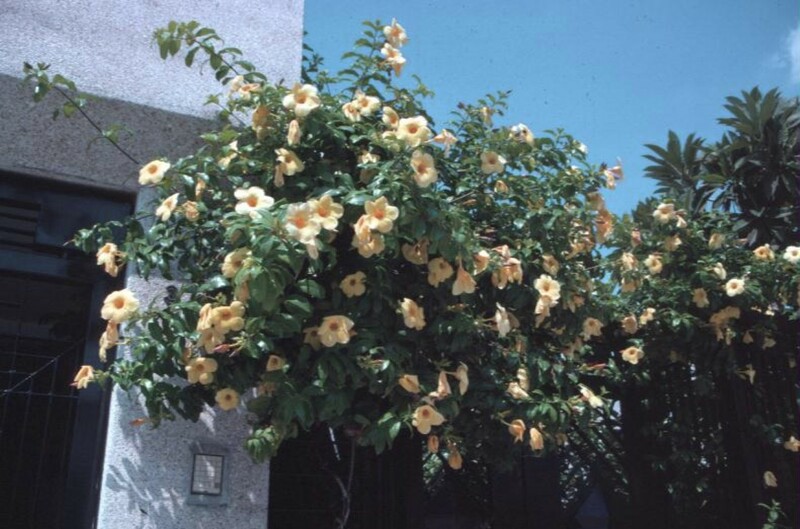 Comments: This tropical has large yellow flowers most of the year in its zones of hardiness and during the warm months elsewhere. Has white milky sap that quickly oozes from broken surfaces. This plant can be trained as a vine or as a shrub-like specimen. Well suited for growing on arbors, lattice panels,pergolas and other garden structures. Also does well in container plantings. Cannot tolerate freezes.